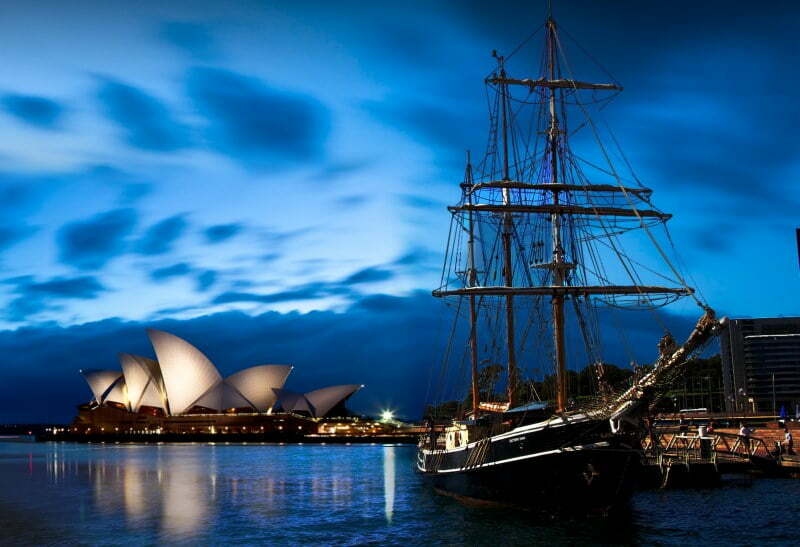 Originally named Our Svanen, the Southern Swan is a magnificent three-masted barquentine built in Denmark in 1922. Made of Danish oak she is a unique vessel, whilst not classified as an icebreaker, her hull is extraordinarily strong enabling her to handle light ice that may have built up in the cold waters of the North Atlantic, Denmark and Greenland, where she originally traded as a grain carrier. The Southern Swan has a unique nautical history. Originally configured as a gaff schooner, she sailed Baltic trade routes as a cargo vessel for the Tuborg brewery for many years until 1969. In 1969 she was purchased as a private vessel and extensively refitted to handle larger and longer ocean voyages. 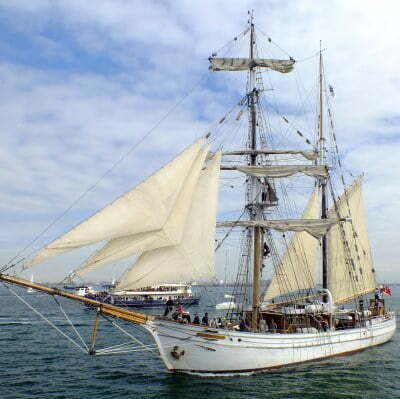 She served as a sail training vessel with the Canadian Sea Cadets and journeyed to Vancouver to appear at the World Expo in 1986. 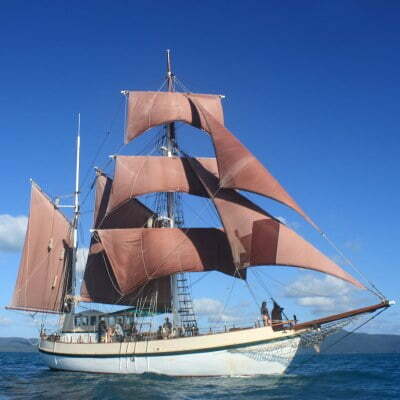 She then sailed to England to join the First Fleet Re-enactment. 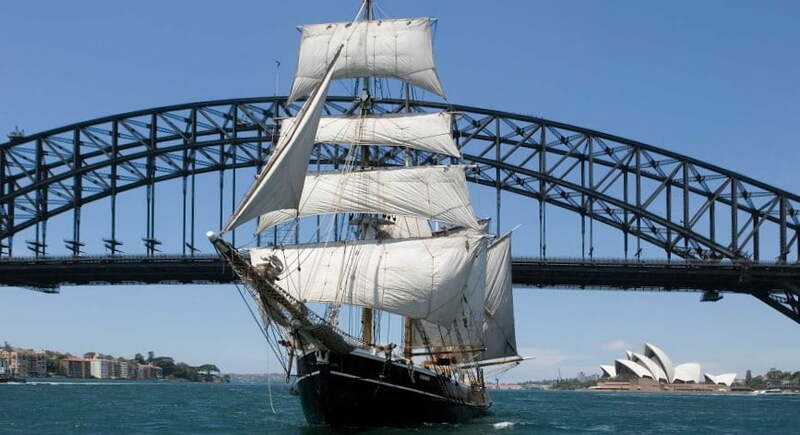 In 2007 the Bounty, an Australian-based traditional three-masted trading vessel known for one of the most dramatic episodes in English maritime history (the infamous ‘mutiny on the Bounty’ in April 1789), was sold to China. 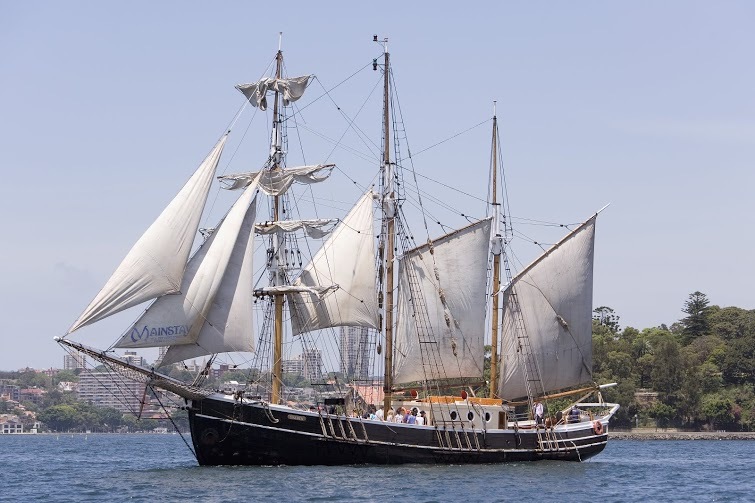 When the Southern Swan went on the market that same year, owner of Authentic Charters Marty Woods knew his only hope of keeping the Swan in Aussie hands would be to purchase, restore and operate the ship himself. 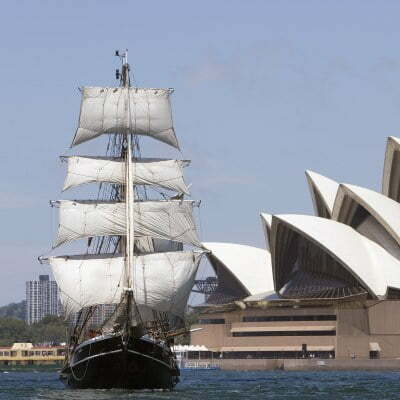 Currently, the Southern Swan sails Sydney’s famous harbour, providing day trips, exclusive charters and occasional offshore trips up and down the New South Wales Coast. 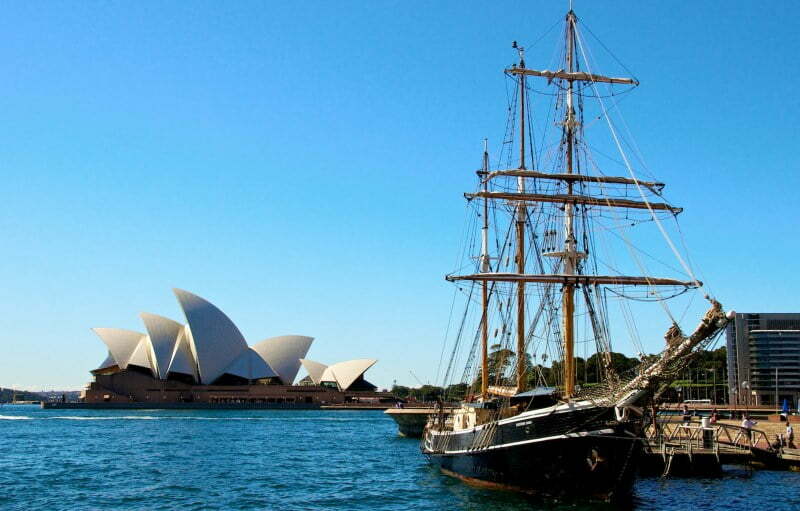 She is currently the only ship in Sydney to offer the thrilling Mast Climb, an ascent up the rope ladder rungs to the Futtock Plate, where climbers can take in the breathtaking view of Sydney Harbour from a truly unique vantage point. 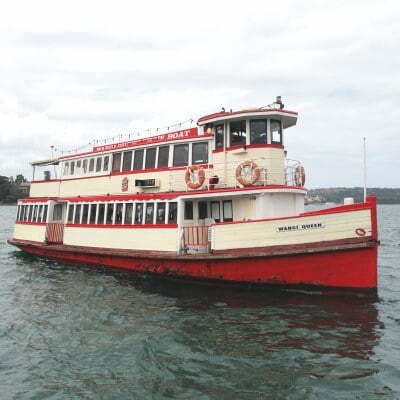 Southern Swan sails on Sydney Harbour most days for lunch cruises and twilight dinner cruises. Charter Southern Swan for your private business Christmas Party or other event. Venture onto the open ocean aboard Southern Swan for whale watching to witness the spectacle of the annual whale migration to and from Antarctic waters. 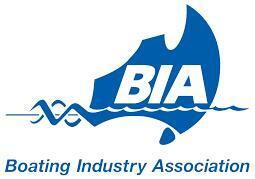 Or sign up for a blue water adventure! 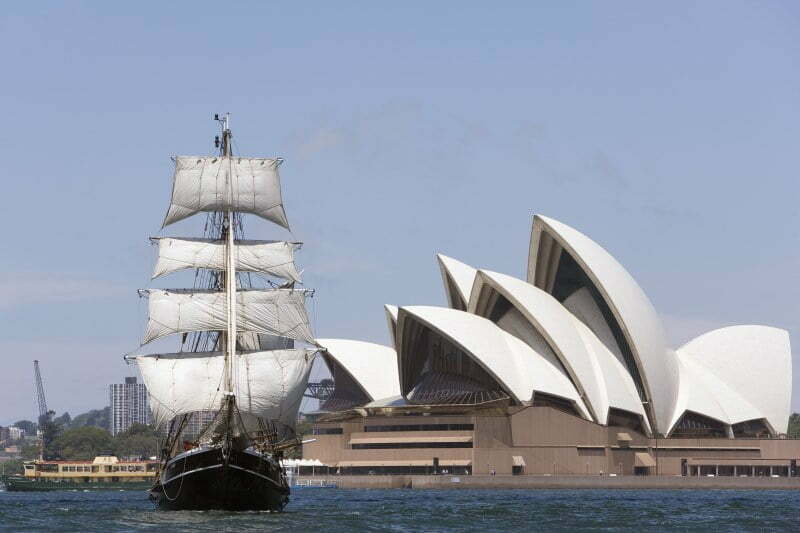 From time-to-time Southern Swan sails beyond Sydney and this is your chance to fully immerse yourself in ocean sailing at its finest.